Do I need to take my dog’s food along? 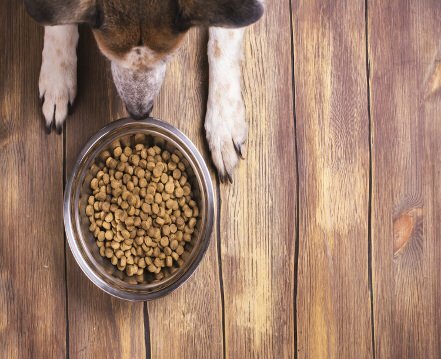 DO I NEED TO TAKE MY DOG’S FOOD ALONG ? You have chosen to leave your pet in dog sitting family and are wondering if you need to take your dog's food along? Please note that our four legged friends have a rather fragile digestive system and any abrupt change of diet may disturb their digestion. If you would rather the pet sitter to provide your dog’s food, please note that you must add this cost on top and pay when you pick your dog up. Generally speaking, the owners take the food along when leaving their pet in a family care. Most of the time, the span is under 3 weeks so not to awkward to deal with. However, if the stay lasts more than 3 weeks or for yearly stays, the amount of food to supply is more difficult. In this case, the dog sitters provide the food and an indemnity fee will be paid. What risk may my dog be exposed to by changing food? More than one person may believe that dog’s have sturdy stomachs but they are more sensitive than we may think. By changing your pet’s diet, it may generate digestive problems leading to diarrhea or other digestive illnesses. However, if you do decide to change your pet’s diet, please be very wary during the transition period. To avoid any kind of digestive problem, please leave a transition period so that your pet can slowly adapt to the new food. This way, during the stay in the host’s family, we highly recommend you leave both types of food so that your dog can progressively get used to it. How to deal with the food transition during your pet’s stay? If you are thinking about changing your pet’s diet plan during the stay at the pet sitters, please make sure that everything is clear with the host beforehand. It’s very important to slowly introduce the new food into your pet’s diet. During this adaption period, your dog must have the same daily portions quantity wise and number of times (2 or 3 times a day for instance). By gradually mixing both types of food, new and usual, your dog will carry on guzzling it down like normal! This way, if you respect the recommended rations, the transition will be the best possible for your pet.